Authors are often told to write what they know. In this case, author Clifford Orr used his alma mater, Dartmouth College, as the setting for his first novel The Dartmouth Murders. Initially published as a serial piece in “College Humor,” in 1929 the story was selected by publishing company Farrar and Rinehart as one of their first publications. The story features a father and son team of amateur sleuths. The local detective appears as an affable sidekick allowing the amateurs to take the lead on the case. 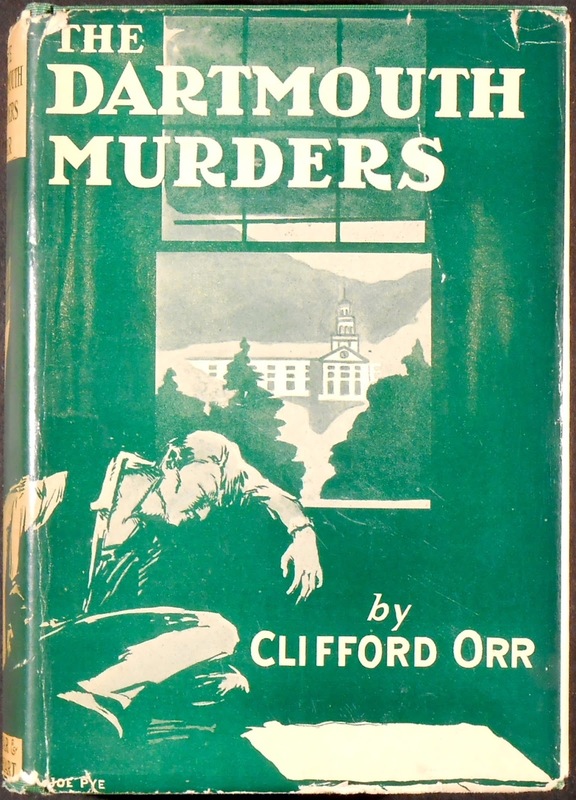 The book opens with the discovery of a body hanging on the fire escape outside of North Mass (Orr’s living quarters while at Dartmouth). Authorities assume it is a suicide, but the victim’s roommate feels differently. The roommate’s attorney-father is in town for the weekend, so the two pair up to find the murderer. Not until after another two killings are committed is the perpetrator found. 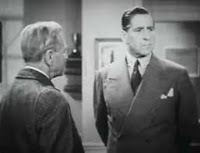 Scene from "A Shot in the Dark"
In 1935, The Dartmouth Murders was filmed as "A Shot in the Dark," directed by Charles Lamont, a prolific director from the 1920s through the 1950s, whose work included several Abbott and Costello pictures. The movie starred Charles Starrett (best known for his role in the Durango Kid series) and Robert Warwick, an actor with over 200 film appearances. Unfortunately the movie was panned by most critics. 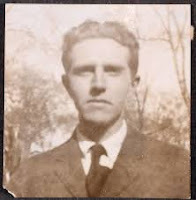 At the time of Orr’s early death from a “long illness,” a manuscript was found entitled The Cornell Murders. The story was never published, but scholars theorize he could have had wide success with a series that featured ivy-league colleges.